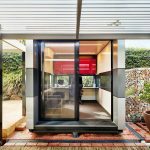 There are countless benefits to working from home — no daily commute or annoying co-workers among them — but there can be challenges. 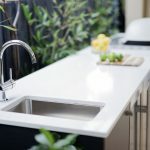 For example, if you have a house full of children, getting peace and quiet in those tumultuous hours before and after school can be near impossible. 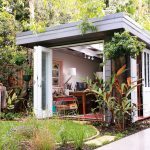 Building an office in the garden can be a great solution and it’s one that increasing numbers of Australians are doing. 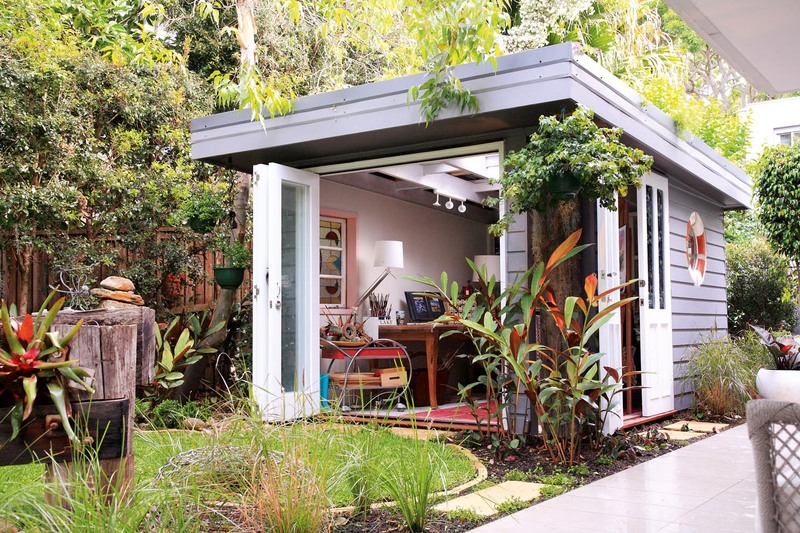 Your garden can provide a light-filled and serene space in which to work. 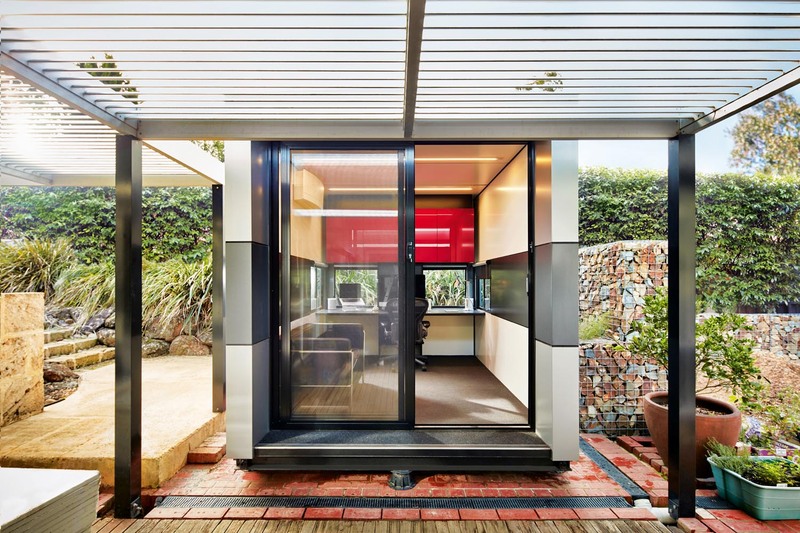 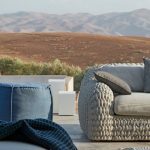 In a large garden, an office can be nestled into the landscape and located some distance from the home, but even in smaller outdoor spaces, an office can be seamlessly integrated. 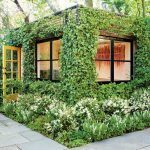 Some garden offices are pre-fabricated pods, some are converted shipping containers, others are custom-built structures, but they all offer the benefit of an office away from the noise and distraction of family life, not to mention a leafy outlook. 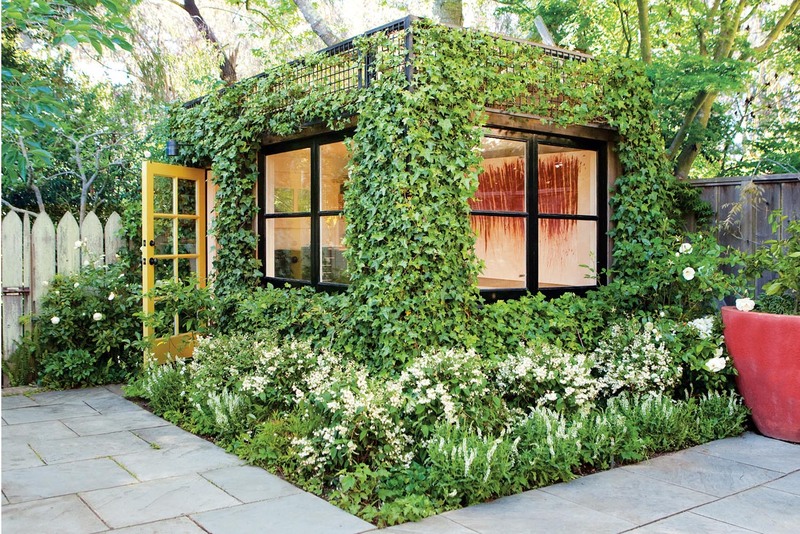 Of course it’s not just our home offices that are taking root in the garden. 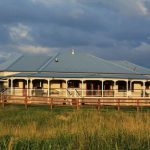 There are art and yoga studios, gyms, teenager retreats, and outdoor living spaces that double as a spare bedroom when guests come to stay. 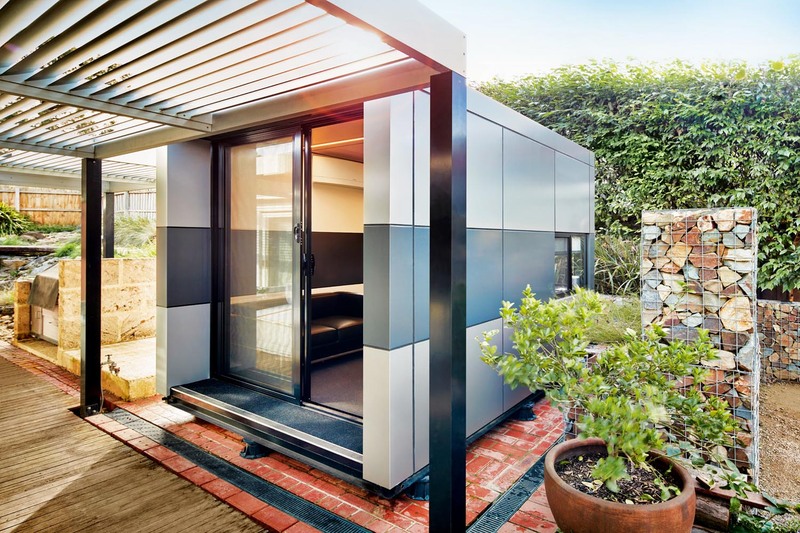 Prefabricated units, from companies like Inoutside, Harwyn and Archiblox, makers of the Backyard Room, are an easy and stylish option offering a broader range of choice than you may think. 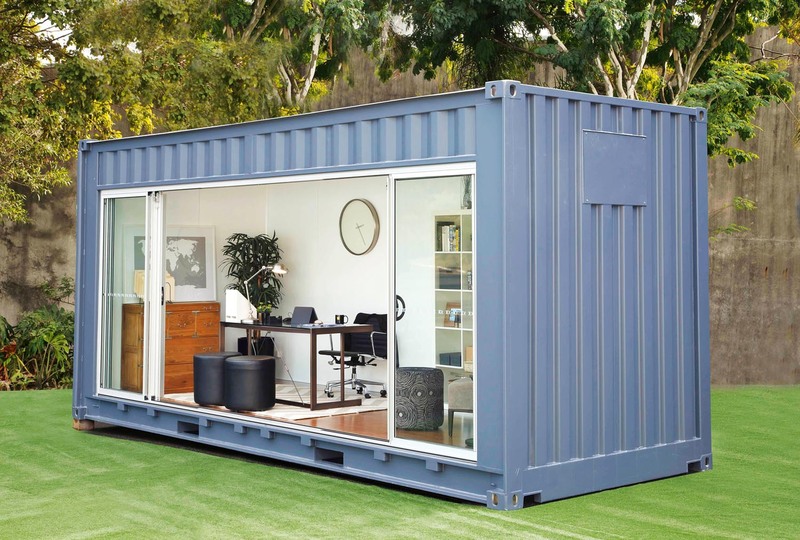 Repurposed shipping containers are another way to go. 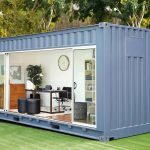 You can buy one and do the conversion yourself, but most people prefer to call on a company like Royal Wolf, which produces the Outdoor Room modified container with lighting, air-conditioning, timber flooring and glass sliding doors. 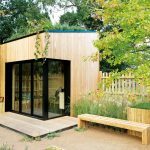 Custom-built structures are ideal if you have a tricky site or very particular needs, but whatever route you take, consider just how adaptable it will be — now and in five years’ time. 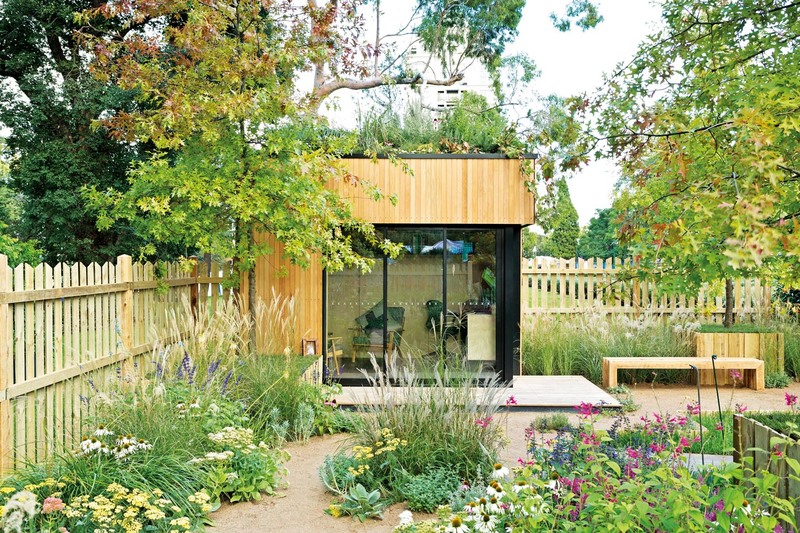 You may work on your own now but if you needed to fit a second worker, could you? 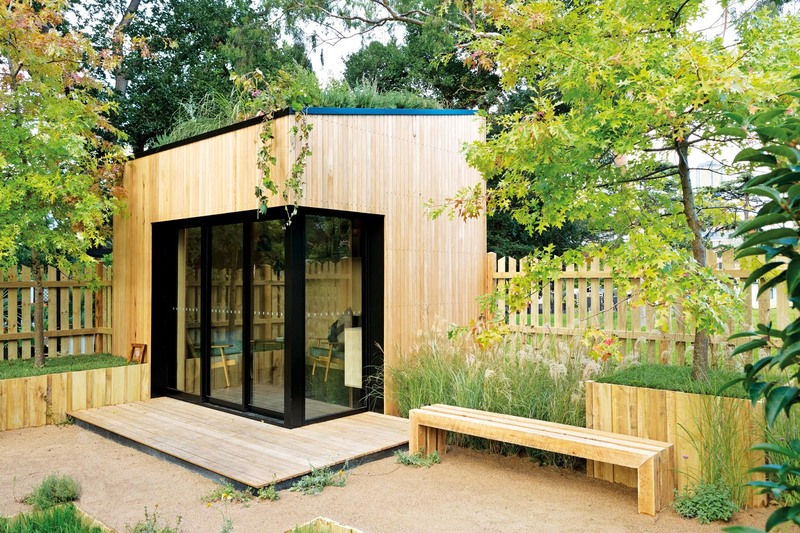 And if you decide to retire, could your outdoor office easily become an art studio or a play space for the grandkids? 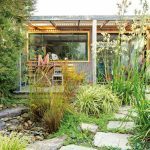 If you want to build a permanent structure in your garden, the first thing is to check with council and determine what planning permissions are needed — and even if a building permit isn’t needed there will still be restrictions. 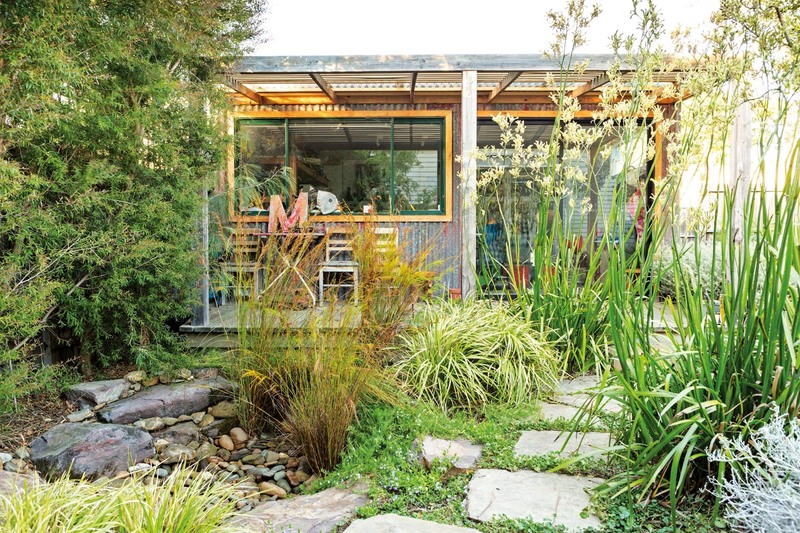 Philip adds: “I would then look to engage a landscape architect or designer as placing a permanent studio will affect the whole garden. 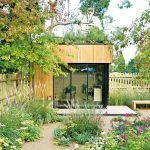 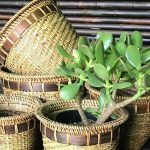 You want someone who can help you determine how you can get the best use out of the office or studio, how it will sit within the garden and its relationship to the architecture of your home. 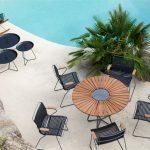 You don’t want your new office/studio to look like it’s been plonked in your garden, so the landscaping around it and the way it connects to other outdoor elements is vital. 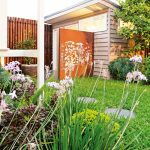 If you want to make the structure feel embraced by the garden, introduce some garden beds nearby and some screening plants behind or to the side — the latter is also a great way to have a bit of privacy from neighbours. 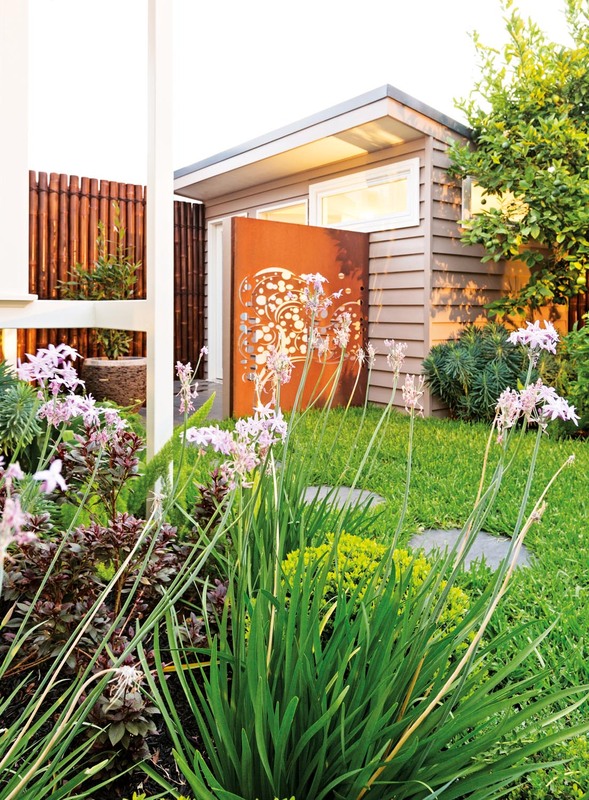 If you have lawn, having it sweep up to greet the structure helps to integrate it into the wider garden, but having to walk across that lawn to access the structure may not be ideal, especially when the ground is soggy after rain. 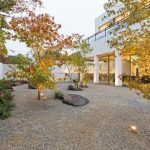 A path that crosses through or runs beside the lawn is more practical. 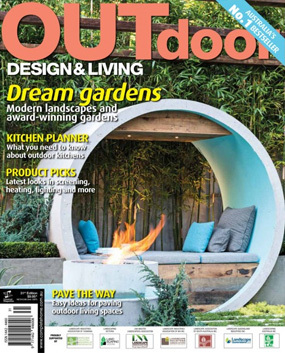 You may even want to cover the path with a solid-roofed arbour to enable all-weather use. 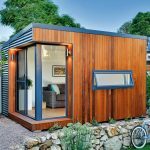 If your home has timber cladding or a rendered finish, reference that in the facade of your studio. Suppliers of prefabricated studios will each offer a different choice of exterior finishes. 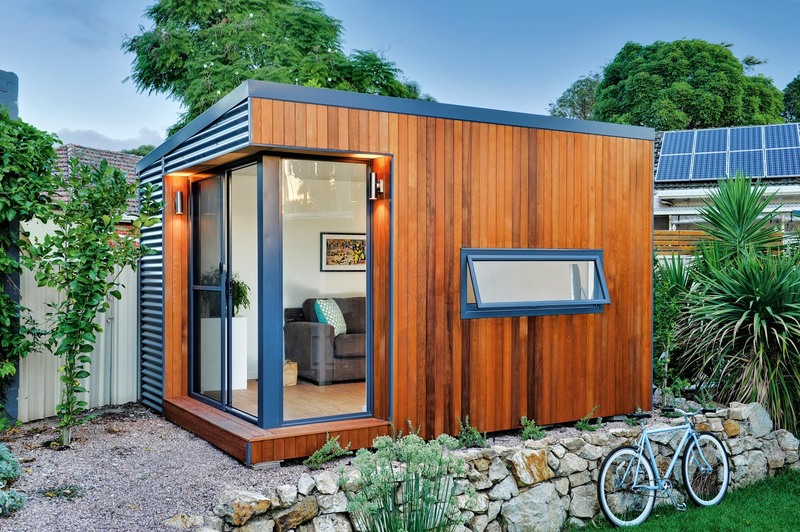 Inoutside, for example, uses cedar, render and Colorbond. 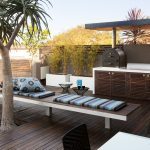 Adding a deck or an area of paving, where a bench seat or a small table with chairs can be placed, extends the use of the office or studio and further connects to the wider garden environment. 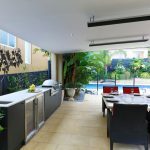 Introduce some potted plants or a green wall and the integration with the garden is complete. 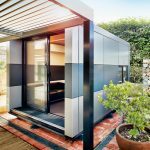 And with adult children living at home for longer, sometimes there just isn’t a spare bedroom to convert to an office so taking it outside can be the only solution.